from forbiddenhistories.wordpress.com: Among the key figures in the hidden history of the human sciences are the Munich philosopher Carl du Prel (1839-1899) and the Cambridge classicist and psychologist Frederic W. H. Myers (1843-1901). Eclipsed by psychoanalysis, Jungian analytical psychology and other depth psychologies throughout the twentieth century, the contemporary significance and reception of these writers was considerable. Frustrated with the narrow focus of German experimental psychology on the physiology of perception in the everyday waking self, Carl du Prel formulated a radical research programme for the study of altered states of consciousness and was arguably the most popular German-language theorist of the unconscious mind immediately preceding Freud. Revered by artists such as Rilke and Kandinsky, he was read by psychologists like William James, Carl Gustav Jung and Sigmund Freud, who utilised du Prel’s studies of dreams and referred to him as “that brilliant mystic”. In England, Frederic Myers took up du Prel’s research programme and advanced it into a branch of British psychological experimentation, which he represented at the first four International Congresses of Psychology. Myers’s friends and collaborators Théodore Flournoy (the instigator of professionalized psychology in Switzerland) and William James adopted Myers’s programme for an experimental psychology of the unconscious, and James considered its instigation as “the most important step forward that has occurred in psychology” (James, 1902, p. 233). 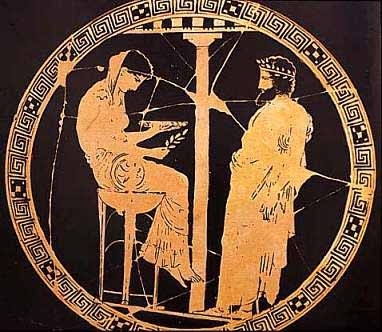 One aspect I’d love to investigate more fully at some point is the treatment of ancient Greek oracles, temple medicine and the ‘daemon of Socrates’ in the theories of du Prel and Myers. Particularly du Prel’s writings are replete with references to certain aspects of ancient Greco-Roman medicine and oracle culture, which he juxtaposed with self-diagnostic dreams, various phenomena of mesmerism, medical hypnotism, trance mediumship and other areas more or less outlawed by nineteenth-century professional psychologists, culminating in his study Die Mystik der alten Griechen (The Mysticism of the Ancient Greeks, 1888) and later articles. In his writings on Greek medicine, for example, du Prel reconstructed the practice of temple sleep (or ‘incubatio’, most often associated with the healing god Asclepius), which denoted the widespread ancient practice of patients spending nights in temples to receive healing and medical advice from divine beings in their dreams. Du Prel, who followed Schopenhauer’s speculations on links between biological instinct and ostensible instances of clairvoyance in mesmerism, believed that successful cures were the result of the patient’s innate knowledge of their organism and instinctive clairvoyant identifications of remedies. Hence, for du Prel entities appearing in curative dreams were fragments of the patient’s unconscious self, performing dramatized monologues between hidden layers of the mind and its conscious self. Extending his transcendental psychology of the unconscious to the ‘daemon of Socrates’ (a distinct voice the Greek philosopher claimed to hear him counsel and warn in times of crisis), du Prel argued that the phenomenology of temple sleep and oracle culture mirrored certain instances of benign cases of ‘double consciousness’ in mesmerism, hypnotism and spiritualism, and he appealed to psychologists and anthropologists to engage in comparative studies of Greco-Roman medicine and modern hypnotism. Painting of the Delphic Oracle, c. 440-430 BCE. From the Collection of Joan Cadden. While Myers was less concerned with temple medicine, he also wrote on oracles and the ‘daemon of Socrates’. In 1880 he set the stage for his subliminal psychology in a comprehensive study of oracles. Criticizing excessive retroactive transformations of Greek oracle traditions into corrupt pagan priesthoods in the wake of anti-clericalism by Enlightenment writers like Bernard de Fontenelle, Myers indirectly took issue with contemporary anthropological theories of animism and fetishism as explanations for modern beliefs in the ‘occult’ as well, which were strongly informed by Enlightenment notions such as those propounded by de Fontenelle. First page of Frederic Myers’s essay on the Daemon of Socrates (1889). Later, Myers’s essay on the ‘daemon of Socrates’ formed part of an important series of essays on his theory of the ‘subliminal self’, in which he interpreted and compared the psychology of the Socratic daemon and the voices of Jeanne D’Arc as recorded in historical documents. Like du Prel, Myers believed that the psychology of Greco-Roman oracle traditions, the Socratic daemon, the voices of Jeanne D’Arc and other historical examples of apparently benign cases of secondary selves sometimes ostensibly displaying clairvoyance and telepathy were – as far as this was possible to reconstruct – phenomenologically continuous with psychodynamics of dreams, hypnotism, automatic writing and trance mediumship. While du Prel’s and Myers’s integrative approach was adopted by representatives of professionalized psychology such as James and Flournoy, other pioneers of the psychological profession had little sympathy for such radical ideas. Psychologists such as Wilhelm Wundt, Joseph Jastrow and G. Stanley Hall vehemently opposed them in public campaigns to shield the fledgling psychological profession from unwanted associations with ‘superstition’ and ideas deviating from enlightened norms of belief – an imperative that still shapes the way many psychologists write the history of their discipline. A major weapon in the battle for the territories of nascent scientific psychology was the reliance on fetishism, animism and related anthropological concepts as formulated by Edward B. Tylor and Adolf Bastian. 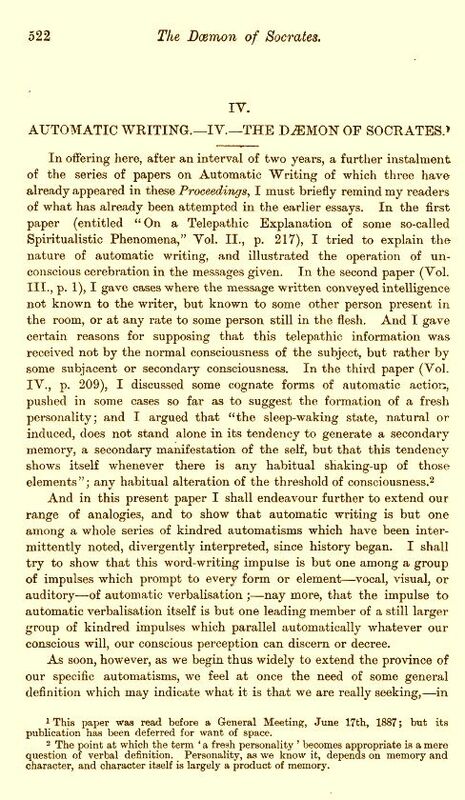 Rather than offering calm methodological criticisms of the work of Myers, James and other elite psychical researchers, psychologists like Wundt, Jastrow and Hall used these anthropological notions, along with pathological interpretations of altered states of consciousness, to explain and sweepingly declare widespread scientific interest in the phenomena of mesmerism and spiritualism as a dangerous survival of psychological traits from past stages of human development. But these anthropological standard theories were themselves founded on comparative deductions, which programmatically assumed an intrinsically morbid and regressive kinship of ancient oracles with shamanic practices in contemporary indigenous peoples and spirit mediumship alike. And although they captured and maintained widespread nineteenth-century fears about the supposed dangers of movements such as animal magnetism and spiritualism (and serious interest in these areas by often eminent intellectuals), they were not uncontested among anthropologists. 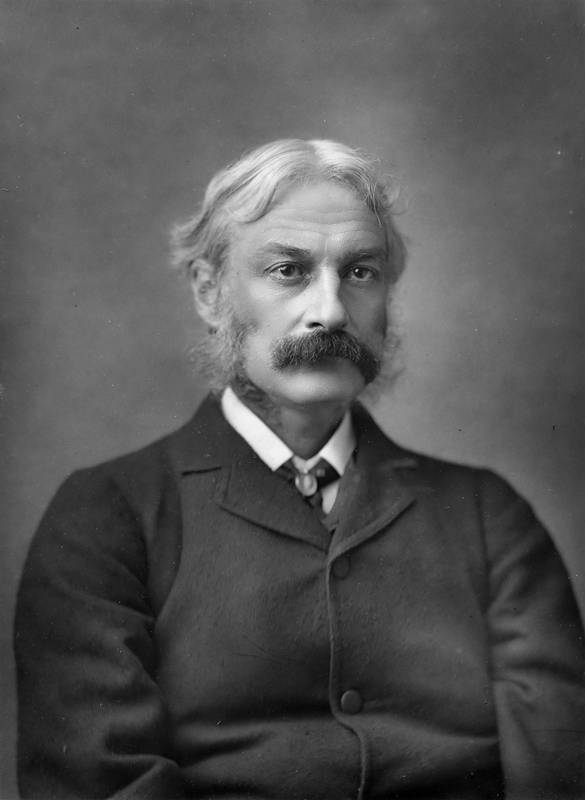 For example, though he was dismissive of some of the more controversial phenomena investigated by du Prel, Myers, James and Flournoy, the Scottish folklorist and anthropologist Andrew Lang relied on Myers’s experimental studies in automatic writing, hypnotism and other techniques apparently inducing secondary selves in mentally healthy subjects, to likewise explain historical testimony regarding the ‘voices of Jean D’Arc’ on the one hand, and not least to critique the Tylorian school of thought, a project that culminated in Lang’s study The Making of Religion and other works. Hence, unorthodox writers like du Prel, Myers and Lang were important though nowadays muted voices counterbalancing authors like Tylor, Bastian and Wundt, whose modernist appropriations of the past were steered by standards of rationalistic nineteenth century intellectual mainstream culture, which in turn was marked by an almost obsessive fear of the occult.